The French Revolution invented radical nationalism and socialism, and launched the first modern genocide, aimed at Christians. 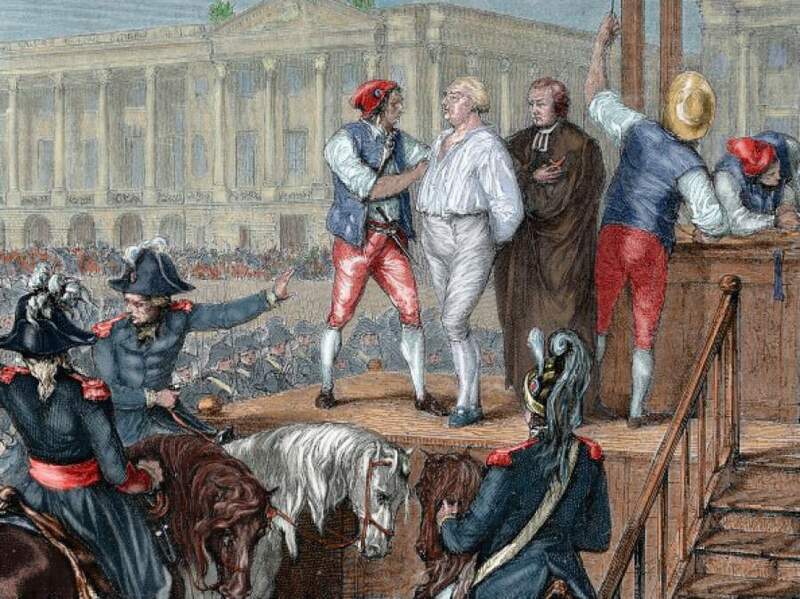 French Revolution, Execution of King Louis XVI (1754-1793) on January 21, 1793, Colored engraving. during the first 88 years of this century, almost 170,000,000 men, women and children have been shot, beaten, tortured, knifed, burned, starved, frozen, crushed, or worked to death; or buried alive, drowned, hung, bombed, or killed in any other of the myriad ways governments have inflicted death on unarmed, helpless citizens or foreigners. It is mostly in the Vendée itself that memories linger, which may explain why that part of France to this day remains more religious and more conservative than any other region. The local government opened a museum marking these atrocities on their 200th anniversary in 1993 — with a visit by Alexander Solzhenitsyn, who noted during his eloquent address that the mass murders of Christians in Russia were directly inspired by those in the Vendée. The Bolsheviks, he said, modeled themselves on the French revolutionaries, and Lenin himself pointed to the Vendée massacres as the right way to deal with Christian resistance. Executed the king and queen, and left their young son to die of disease in prison. Launched the first universal conscription in history, drafting ordinary people — most of them devout peasants bewildered by the slogans that held sway in Paris—to fight for the Revolution. “Not one is to be left alive.” “Women are reproductive furrows who must be ploughed under.” “Only wolves must be left to roam that land.” “Fire, blood, death are needed to preserve liberty.” “Their instruments of fanaticism and superstition must be smashed.” These were some of the words the Convention used in speaking of the Vendée. Their tame scientists dreamed up all kinds of new ideas – the poisoning of flour and alcohol and water supplies, the setting up of a tannery in Angers which would specialise in the treatment of human skins; the investigation of methods of burning large numbers of people in large ovens so their fat could be rendered down efficiently. One of the Republican generals, Carrier, was scornful of such research: these “modern” methods would take too long. Better to use more time-honoured methods of massacre: the mass drownings of naked men, women and children, often tied together in what he called “republican marriages,” off specially constructed boats towed out to the middle of the Loire and then sunk; the mass bayoneting of men, women and children; the smashing of babies’ heads against walls; the slaughter of prisoners using cannons; the most grisly and disgusting tortures; the burning and pillaging of villages, towns and churches. The persecution only really ended when Napoleon came to power in 1799 — and needed peace at home so that he could launch his wars of conquest. He patched together a modus vivendi with the pope, and the Vendée quieted down. Of course, it wasn’t supposed to work out this way. The Revolution had begun with a financial crisis, and promised to pare back an absolutist monarchy, perhaps along British lines. King Louis XVI was a kindly if not terribly competent king. He had lifted the lingering, disgraceful legal penalties against Protestants and Jews imposed by his ancestors during a more intolerant age. He bankrupted his kingdom bankrolling the American Revolution. (In gratitude, the U.S. Congress hung a portrait of the monarch in the Capitol, and named a southern county “Bourbon.” That’s where the whiskey was invented.) The French legislators who met in 1789 for the first time in over a century intended at first to reform their government, not replace it. And some reforms were certainly needed: As Tocqueville would observe, the ruthless centralization imposed by Louis XIV and XV had hollowed out French political life and concentrated power over the lives of citizens almost entirely in Paris, in the hands of technocrats. Predictably, they’d made a mess of things. The educational vacuum created by the destruction of this order was quickly (and ironically) filled by Enlightenment philosophes. The first generation to rise without the Jesuits would come of age in 1789. The abuses that would mark the Revolution — including mass executions of priests and nuns — were endorsed by intellectuals schooled on the slanderous pamphlets of Diderot, full of pornographic falsehoods about the “secret lives” of monks and nuns. Indeed, there’s a chilling similarity between the anti-clerical literature that prepared the public for the looting of monasteries and the anti-Semitic canards that were spread by the Nazis. The euphemism that was used to describe stealing monastic property for the state — “secularization” — found its echo in the 1930s in the term the German government employed for robbing the Jews: “aryanization.” Since the Jews are indeed a priestly people, it is not surprising that such satanic parallels exist. Just as fascists excused their atrocities by pointing to Jewish prominence in the financial sphere and the press, leftists still defend the persecution of the Church by pointing to her political influence. We shouldn’t let them get away with it. I wait in vain for the historian who will write a comprehensive comparison of anti-Semitism and anti-clericalism. In 1989, I helped organize a funeral Mass for all the Revolution’s victims. We invited the French consul-general, but he pleaded a prior engagement. In the Vendée itself, a French friend told me, some people still wear black armbands on their country’s national holiday, and regard the Revolution’s tricolor as black Americans do the Confederate battle flag. As we tremble for the future of religious liberty in America, let’s remember those who died defending freedom and faith before us. God forbid that we’ll have to follow in their footsteps. This piece originally appeared in a different form at Crisis magazine and is reprinted with permission. Yes, this is coming. Our poor children and grandchildren are fated to repeat this horrific time because most of them see only the golden path to the future. Our rich past, filled with experience glorious and demonic has been lost. Thank you for a terrific piece. How are the Jews a priestly people? The temple was destroyed as predicted by Christ because of the rejection of Christ by the Jews, while Jewish Christian converts left Jerusalem for the Christian diaspora. The mantle of the priesthood was passed to the Apostles and their direct successors by the Eternal High priest, Jesus Christ. There hasn’t been a Jewish high priest since 67 AD. The persecution of the Jews in Germany was a result, in part, of the betrayal by German Zionists of Germany during the Great War – getting America into the war to defeat Germany in exchange for a foothold in Palestine (the Balfour Declaration). This was used by the NAZIs to foment anti-Jewish hatred so that they could be designated as scapegoats. Paul said “The gifts and the calling of God are without repentance.” or as the Holman Christian Standard Bible says “are irrevocable.” Romans 11:29 So the Jews are still a priestly people whether or not they walk in that calling, and many have and still do as they carefully passed the written Torah on and still serve in a teaching and praying capacity. You don’t need a Temple to represent G-d and teach about Him and many Jews fulfill this calling. Prayerfully consider visiting an Orthodox synagogue on the Sabbath and you will see this for yourself. And yes there HAS been a Jewish High Priest and that is Yeshua. He is the eternal High Priest. So, when the Temple was destroyed in 70 AD, He had it covered and still does. There must be a distinct Jewish remnant in order for Zech 12:10 to be fulfilled in the future. Short answer is they are not. The Aaronic Priesthood under the old covenant was abolished and replaced with the Priesthood of Christ, our Great High Priest, and those who are adopted Sons (believers) share in that as a priesthood of believers. There is no way that an un-converted Jew can be legitimately considered to be a priest in any meaningful sense of the word since the old priesthood was abolished at the crucifixion (the veil of the temple was rent) and unless they profess faith in Christ, they are not members of His priesthood of believers. Evil never dies, it merely changes form. The errors of the enlightenment are alive and well in progressive America. And the fruit of that poison tree will soon be quite evident. Only Christ’s second coming will end this. How are you enjoying The Enlightenment now Mr. Zmirak??? So let us not stand and wring our hands and bemoan the future. There is still the great commission and we are still responsible for going forth and making disciples. It is our only hope. Obey Jesus. Love your neighbor, be kind, be just, be merciful, and walk humbly before God. We are responsible for the lack of God in this country, we are not doing our jobs in teaching others and spreading the good news. I do remember reading in the bible about Paul also being one who persecuted Christians and then he went on to write a lot of the New Testament books. God can and does forgive. He is the final judge. Still time for Trump too, right? How do we know that he hasn’t already, privately? Not letting everyone in the world in on it would be known as having good boundaries. It is so bad, that we now have a guy who was divorced twice and who denies the need for God’s forgiveness being nominated by the Party of God. Surely God will punish America if it elects such an anti-Christ. There were like 11 other Republicans to choose from. You should return your Trump tax cuts. If you show me them, I will. 16, actually. And that was part of what made it possible for Trump to succeed, since the opposition was so fragmented (until it was too late). 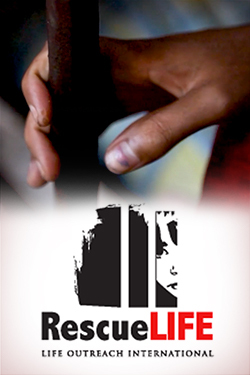 The opposition of all the candidates was fragmented. Doesn’t matter, in the end vote for Trump or the Rapists, you preferred the crimminal couple? I preferred the one who believed in the Constitution and had a track record of upholding the principles of freedom and small government. The rest were usurpers and enemies of liberty. Very good piece. Thank you. This really is something you don’t hear about in the history books! It disgusts me that these atrocities have been so totally glossed over. Was the genocide that you are referring to also by ‘progressive’ government ‘liberators’? But never mind the Catholic/Jesuit persecution of the protestants before that. The genocide directed against the Irish was wholesale butchery and including starvation and enslavement. There is no parallel to anything that happened in England against its Protestant population. Maybe not in England, but the trail of tears from the Jesuitical order and it’s invention of communism worldwide is well documented. Yes-they are-the progenitors of communism. I am aware of no serious historian who can demonstrate that Marx, Engels, Lenin, Stalin, etc. learned their diabolical craft at the feet of Jesuits or that the advocates of the radical French enlightenment theory which informed Communist thinking did either. To the contrary every philosopher who had any meaningful influence on the development of Communism despised the Catholic Faith and all within its ambit, including religious orders, monasteries etc. If on the other hand you are referring to the influence of many Jesuits on revolutionary movements in the mid 20th century onward regrettably their record is not good. The observation about the Jesuits in Central America would depend on whose version you read and believe. Total historical cherry-picking. The Île de France has always tried to consolidate its hold over the South/Periphery. The only thing different about this versus the Albigensian Crusade laying the groundwork for Philip II taking over the Languedoc is that The Church is victim in one and agent in another. Spare us the ideological whining. Because two wrongs make a . . . what? What’s the common denominator in all this mass murder and theft, who else. The next time everyone will know who to shoot. A far-better candidate for the dubious title of the first modern genocide would be the slaughter of over one million Armenian Christians by the Turkish Ottoman Empire roughly a century ago, from 1917-1922. It was the Armenian genocide which was witnessed by a young Adolf Hitler, who noted that few cared or even knew of the plight of the victims – an observation which had much to do with his later decision to exterminate Europe’s Jews and other so-called undesirables. Of course, since the French were products of western civilization, criticizing them comes much easier to the modern academy, which despises western civilization and never misses an opportunity to criticize it or otherwise make it look bad. Islamic civilization, on the other hand, the left virtually never criticizes – since these various academics have seen what happens to those who anger Muslims, vis-a-vis keeping one’s head attached to one’s body. your comments are right on ..Bravo ! In intellectual history, “modern” is typically dated from Rene Descartes. It depends upon which historian or political scientist you ask…. Not indefensible as a marker. The academic history journal I used to edit divvied up articles and reviews as follows: “Early Modern” as circa 1492-1789; and “Late Modern” as 1789 onward. Either way, I think the 1790’s counts as modernity under most any reasonable rubric. As I read, one thing comes to mind. Some “Old Guy” that I see in the mirror each morning has said: Homo sapiens is not nice, Homo sapiens is an opportunist. He has suggested that “Anything for free has no value”. This understanding and the issue of Freedom suggests that the “struggle” is continuous and we are obligated to look back at the most accurate history we can so as to remember to not repeat the problems of the past, fully understanding that we are likely going to do so because we continue to struggle. The Enlightenment followed the Thirty Years’ War. Look it up. Some fun the good Christians had going at each other then. The most intense – and most destructive – phases of the Thirty Years War were actually dynastic in motivation, as the Swedish and French crowns (the latter of which had a cardinal for its chief minister of state) successively intervened to counter Habsburg dominance purely for reasons of state. In regard to the many comments in this thread that cite previous examples of genocide, I hardly think that anyone needs precedent to dream up new ways to destroy their fellow man. Cain certainly didn’t have any. The decline of France always seems very linear to me, progressing somewhat ironically from the abhorrent treatment of its Protestants (and Jews), to its Catholics to (finally) anyone and everyone who would look sideways at the regime. It was a descent into utter madness, and it began with the abuse of the people of God.